Back in July, I featured some amazing sheet masks from a high-end brand called Image Skincare in my Monthly Favourites post (check it out here if you missed it!). 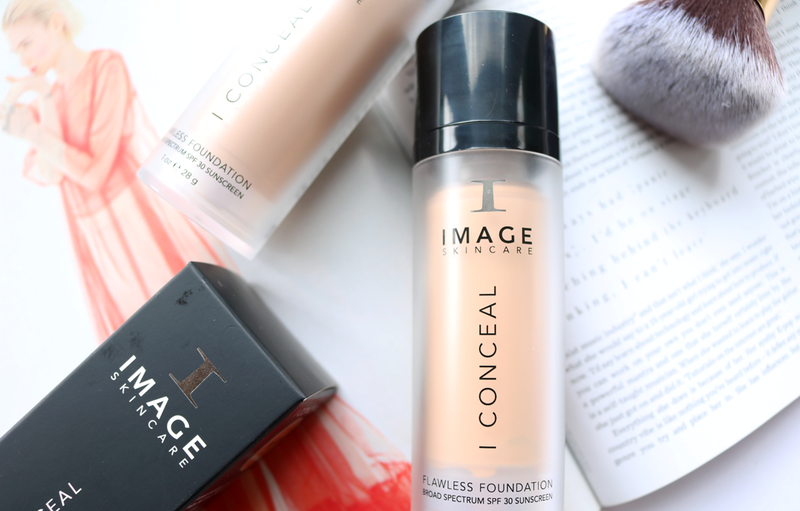 As the name suggests, they're mainly all about skincare, but they do have one makeup product in their range; the I-Conceal Flawless Foundation which is an interesting makeup-meets-skincare hybrid. 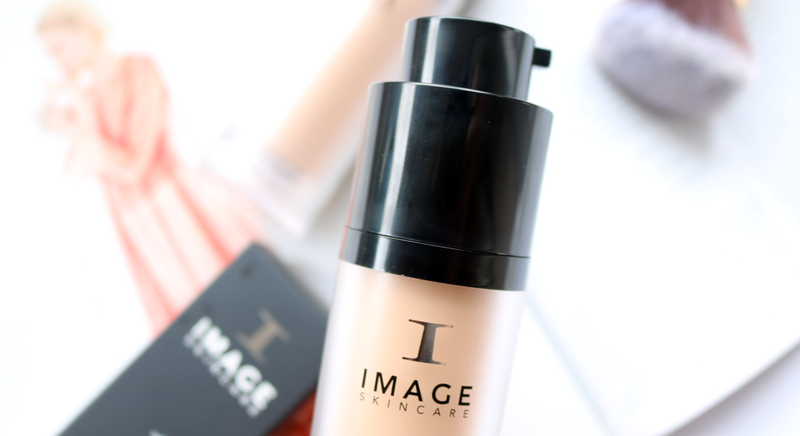 There are lots of brands who are including skincare benefits in their makeup, especially with base products such as primers and foundations, but Image Skincare have taken this approach to the next level. The brand prides itself on its clinical, evidence-based formulas which are at the heart of all of its skincare, so it's easy to see why they've developed a foundation which has some pretty bold claims. 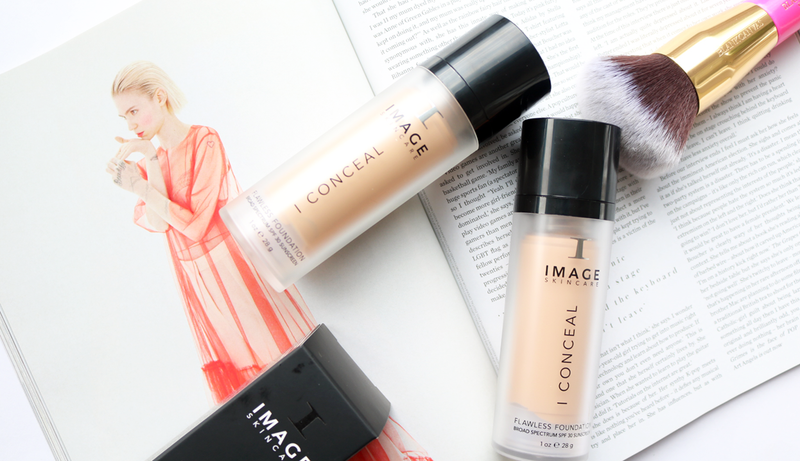 Image's I-Conceal Foundation is suitable for all skin types, but its main USP is that it helps to 'heal' the skin, as well as concealing visible imperfections. This makes it highly suitable for anyone who has pigmentation, acne scarring, redness etc or is recovering from post-surgery/laser treatments and is dealing with bruising or cosmetic scarring. As I have some old acne scarring and I'm always up for trying out a new foundation, I was curious to put it to the test! The I-Conceal Foundation is made up of an innovative formula which includes Biodynes TRF Collagen that helps to increase oxygen in the skin cells to speed up the healing process and increases collagen production. There's also Hyaluronic Acid to hydrate and plump up the skin, and EpiCalmin TCM to soothe any irritation and redness, whilst helping to strengthen the skin's natural defence system against free aging radicals, plus Peptides and Plant-derived stem cells to reduce the depth and appearance of wrinkles after 28 days of continued usage. This foundation also contains broad spectrum SPF 30 to further protect the skin against aging on a daily basis. This foundation offers an excellent level of medium-to-full coverage depending on how much you apply, and it's easy to build this up without it being cakey on the skin. It feels surprisingly lightweight for a foundation of this nature (I was expecting to it be much heavier), yet the overall texture is quite thick and a little goes a very long way! It blends out beautifully though, and I've tried it with both a brush and a beauty blender sponge, each delivering flawless results. The overall finish looks very natural and it gives a stunning healthy looking glow to the skin - perfect if you want an illuminating foundation to perk up a dull complexion. It wears incredibly well throughout the day, staying put for a good 10-12 hours before a subtle touch-up is needed, and this foundation is also water-resistant. For a premium foundation that retails for £50, I was expecting it to be packaged in glass as most of my high-end foundations that are around the £30 price point are all packaged in this way, almost as an industry standard. However, this one is packaged in plastic as it features an interesting twist up pump to keep the foundation as airtight and hygienic as possible. I have a bit of a love/hate relationship with this as it sometimes gets a little stuck on the way up, but for the most part, it does the job. 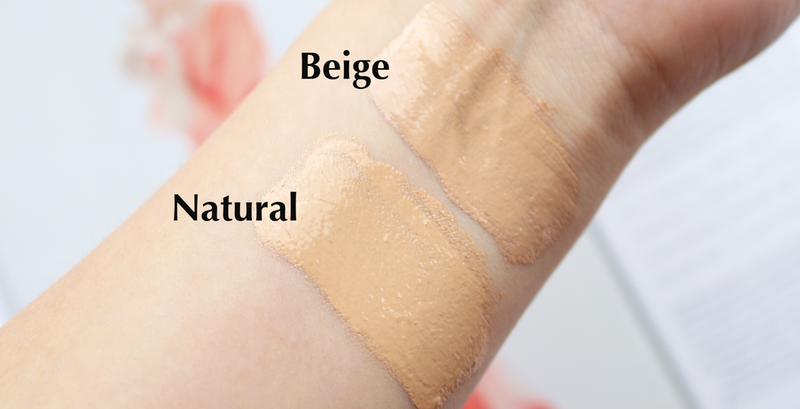 There are currently six shades available and I've swatched the two that I was sent below; Beige and Natural. I'm usually a typical 'beige' in most foundation ranges, but this one was a little too pink toned for my skin, so I like to mix a bit of the yellow-toned Natural shade to even it out to give me a perfect match for my skin tone. Not cheap though! Did It Help My Acne Scarring? I tested out this foundation for just over a month and I'm happy to report that I did see some minor changes to my acne scarring - mainly that it was becoming a little bit lighter and was much easier, as a result, to cover up, as I have some quite dark marks on my chin area. The biggest difference that I saw with this foundation though was when I had a hormonal breakout around 'that time of the month' and I noticed that the redness and blemishes which popped up, calmed down considerably quicker than usual which I thought was very impressive! Given the price point, I know this foundation won't be accessible to everyone, but if you are in the market for a new high-end base and you want to see if the skincare benefits will work for you, this is definitely something to try out. I can't fault the performance, finish or coverage either - as a stand-alone quality foundation, it's up there with the likes of my favourite Charlotte Tilbury, Chanel and Giorgio Armani foundations. Are you interested in makeup with skincare benefits?